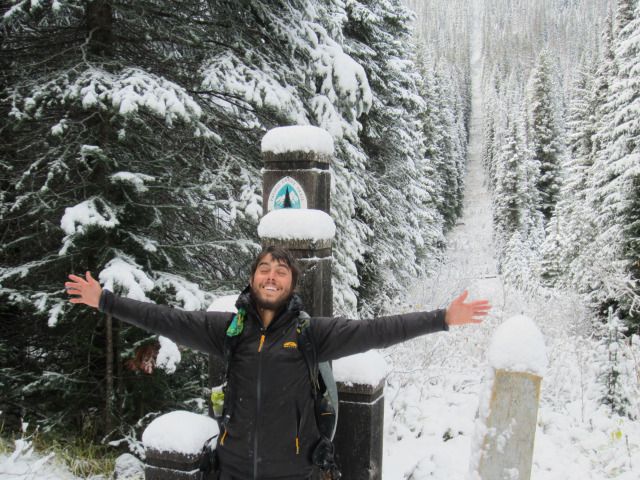 At the age of 23, Astro Andy set off to do the PCT after he got the diagnosis that his reoccurring (since 2008) Hodgkin’s Lymphoma had once again returned…and this time the tumor (on his lower spine) was there to stay. He had terminal cancer. Astro had tried western medicine with Chemotherapy and even a stem cell transplant. He decided in January of this past year that it was time for him to find his own treatment…in nature on the Pacific Crest Trail. True BLISS! After over 6 months of hiking with Hodgkin’s Lymphoma, Astro Andy reached Monument 78 on Oct 20, 2012.